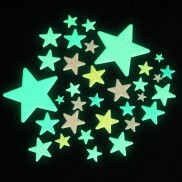 Glow in the dark stars and shapes are a great way to make turning out the lights a little more enjoyable. 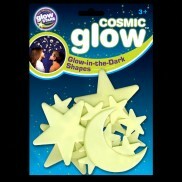 Check out our full range of glow stars, glow planets, children's characters and glow in the dark shapes. 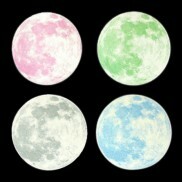 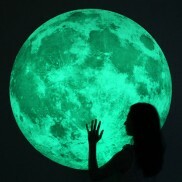 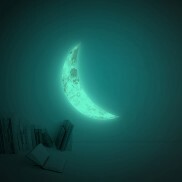 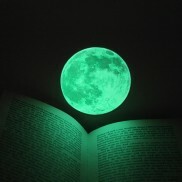 Gaze at the full moon every night and enjoy a gentle bedtime glow with this stunning 3d moon sticker. 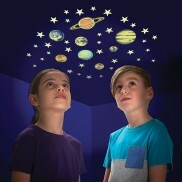 See the wonders of our solar system glow night after night in your room with this pack of eight glow planets and 35 stars! 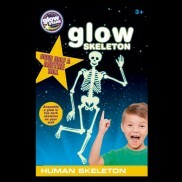 An unusual glow in the dark wall sticker for your child's room, the Glow Human Skeleton Sticker makes a spooky but fun wall decoration that will glow brightly in the dark at bedtime. 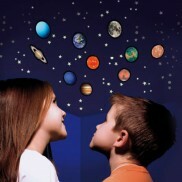 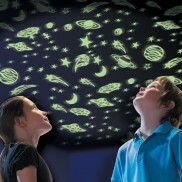 Make your child's imagination glow when you decorate their room with Glow Spacecraft Stickers. 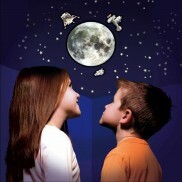 Rockets, shuttles and flying sauacers float through moons and stars and glow brightly in the dark. 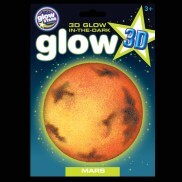 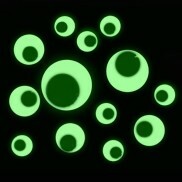 The red planet adds texture and a glow to your glow in the dark star displays. 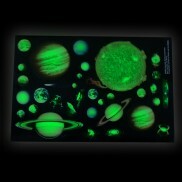 Recreate a glowing galaxy featuring our very own solar system in your room with 3D glow in the dark planet stickers. 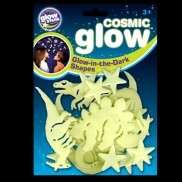 Glow in the dark Dinosaurs to stick to ceilings and walls, these adhesive glow in the dark shapes are great for decorating bedrooms, playrooms and classrooms! 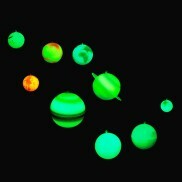 Create a stunning Solar System of glow in the dark 3D planets and stars in kids rooms with this complete kit! 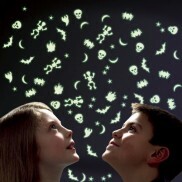 From cartons of milk to remote controls and more, everything looks better with a pair of googly eyes! 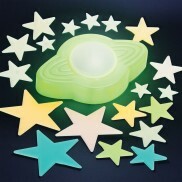 Fill your room with colourful stars that glow in the dark and settle under a starry nights sky with this glow stars and night light set. 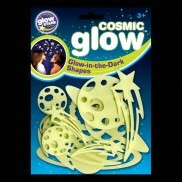 With a host of planets, spiral galaxies, stars and more, create your very own cosmic glowing universe! 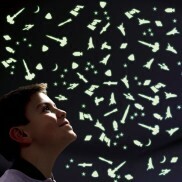 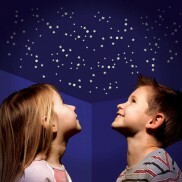 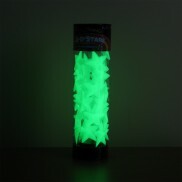 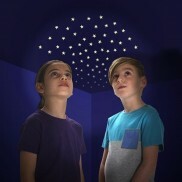 Give kids rooms a cosmic glow with twinkling glittered glow in the dark stars. 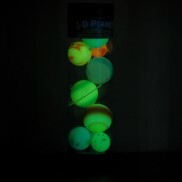 Create a cosmic glow in your room with a pack of 3D glow in the dark planets!